SewTara and I attended the 2011 CreativFestival today, it was terrific! 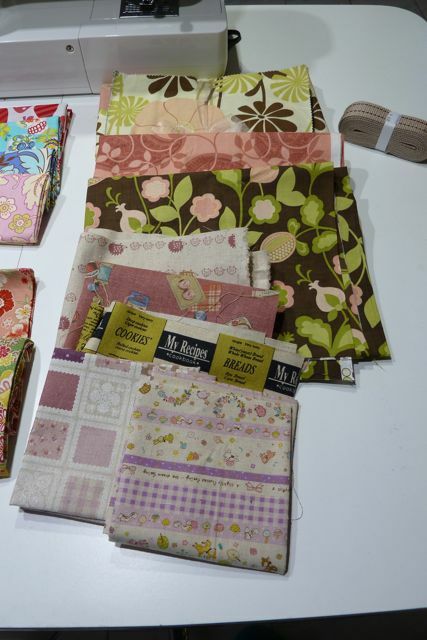 We picked up tons of fabric, specifically, fat quarters, something I’ve never purchased before. I also visited the Janome booth and discovered a lot of machines under the skirts of their tables, why don’t I have my MC350E yet??!! 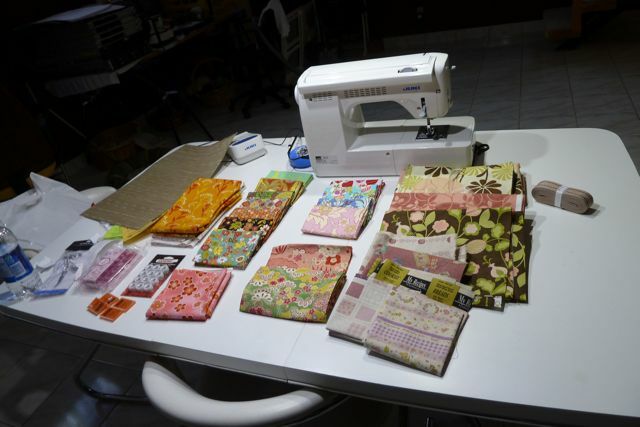 Janome Fail!! I looked at the Bernette 92C and it is a solid machine, much bigger than I had anticipated. I was actually looking for a machine for my Mom. She has a Viking Emerald mechanical but hasn’t been able to bond with it. I would love to take it off her hands but would need to replace it. I think she would actually be happier with a computerized machine that selects the tension for her. She used to have a Kenmore but traded it in and now regrets it. 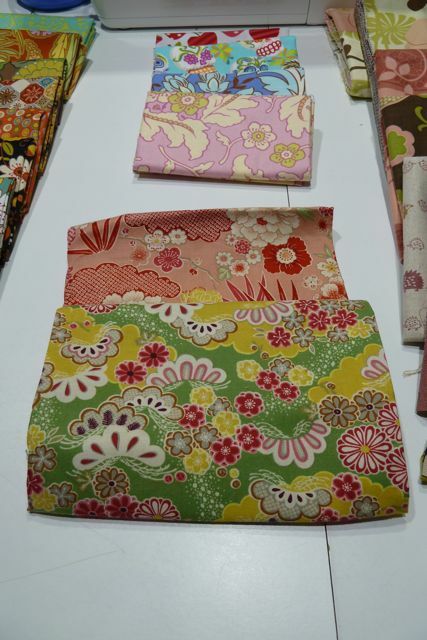 Lots of Japanese fabrics, we’ll be visiting again in the fall!!! 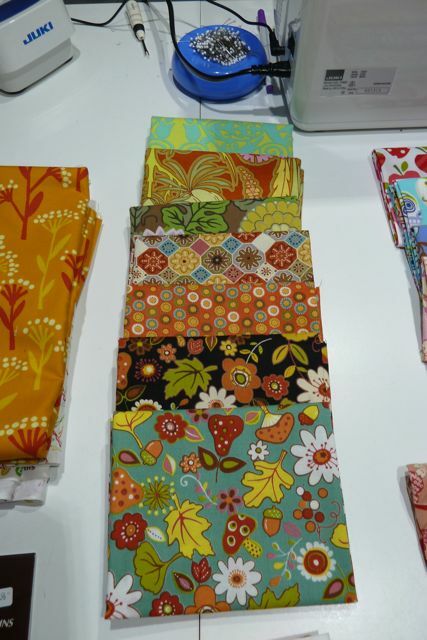 This entry was posted in Fabric, Janome, Sew Tara by Tabatha. Bookmark the permalink.